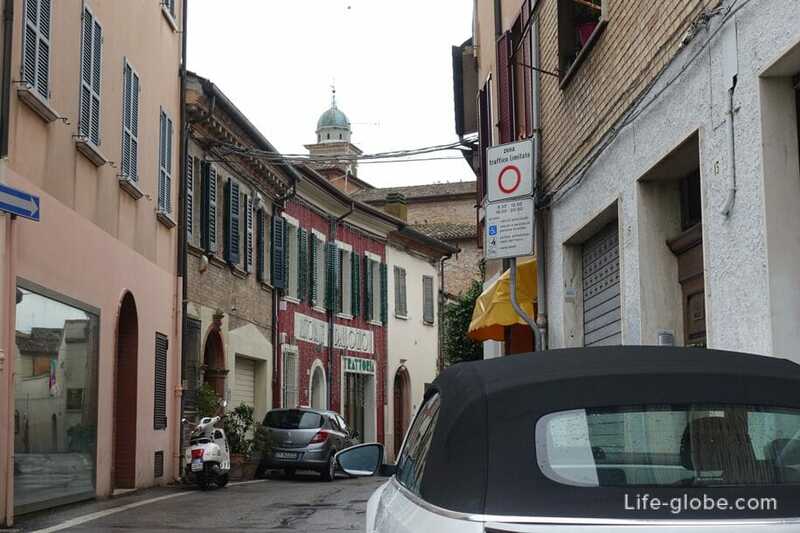 Sights in Rimini, Italy. 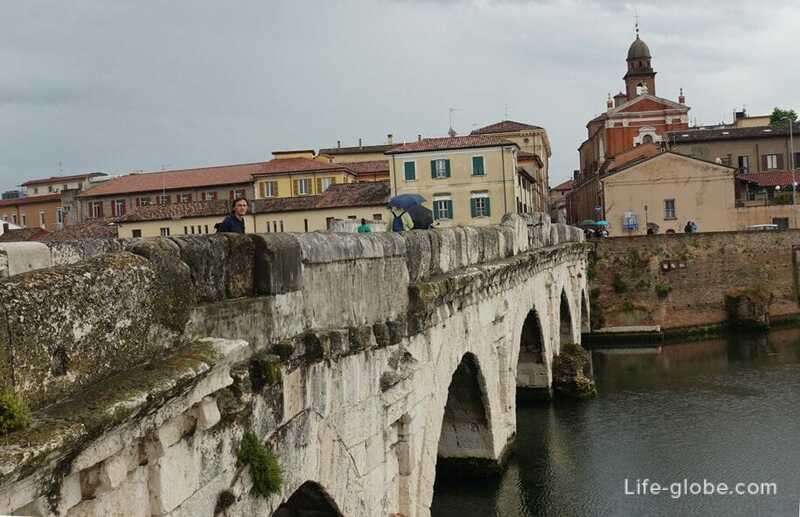 What to see, where to go in Rimini! Rimini is primarily known as a popular beach resort located on the Eastern coast of Italy, off the coast of the Adriatic sea. 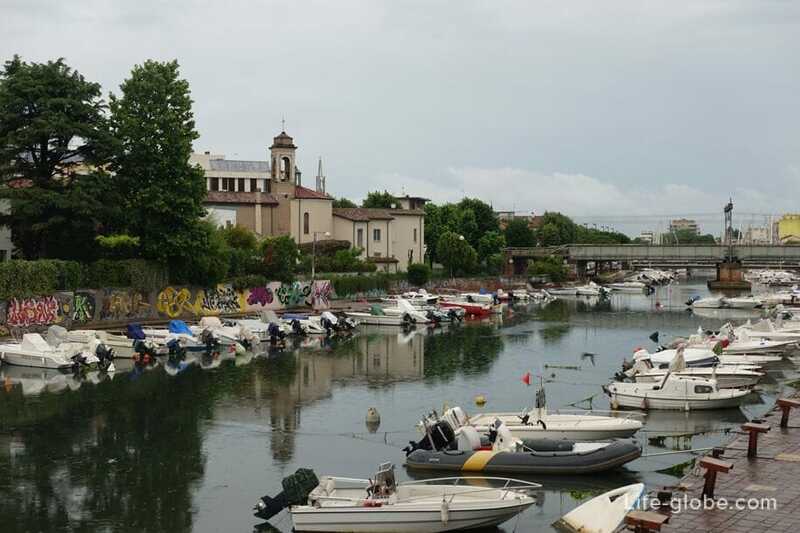 However, there is a long beach, Rimini also has what to see and where to go. 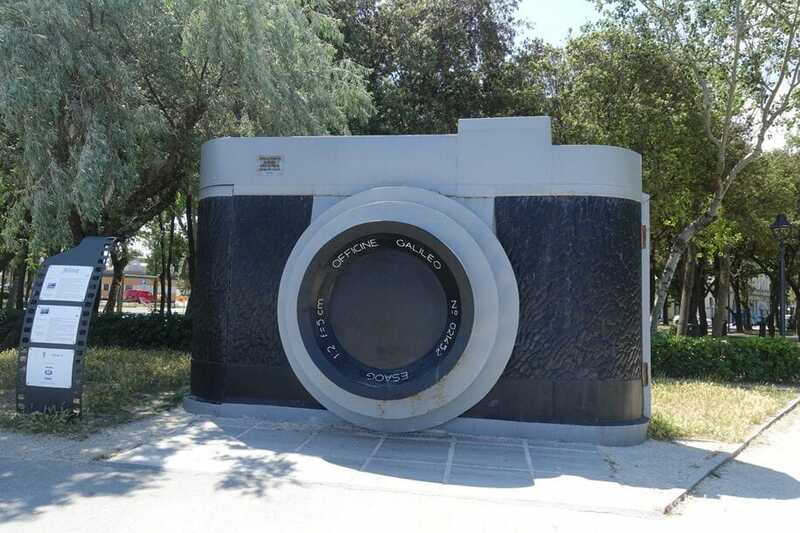 The city has preserved some interesting historical and architectural monuments that identify us to the middle ages. 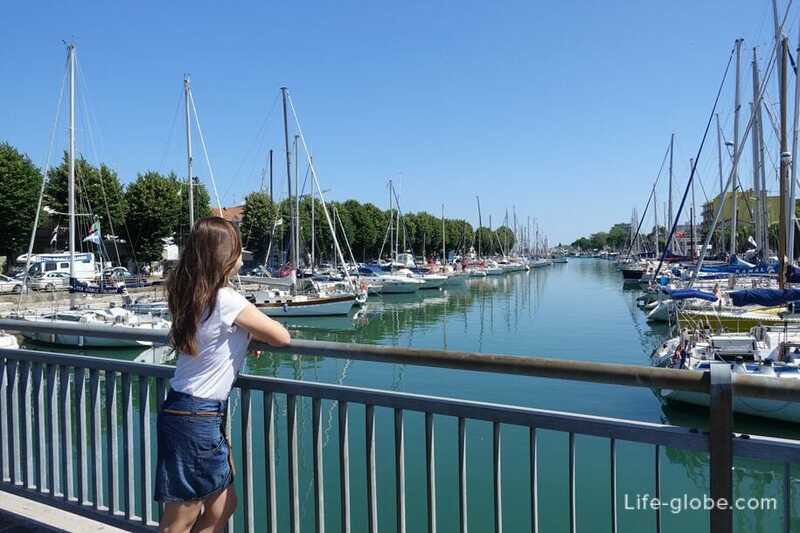 The port of Rimini (Porto Canale di Rimini) is one of the most vibrant places in Rimini, presenting not only a straight line (takes yachts, pleasure boats and small commercial vessels), but also entertainment and even historical interest. 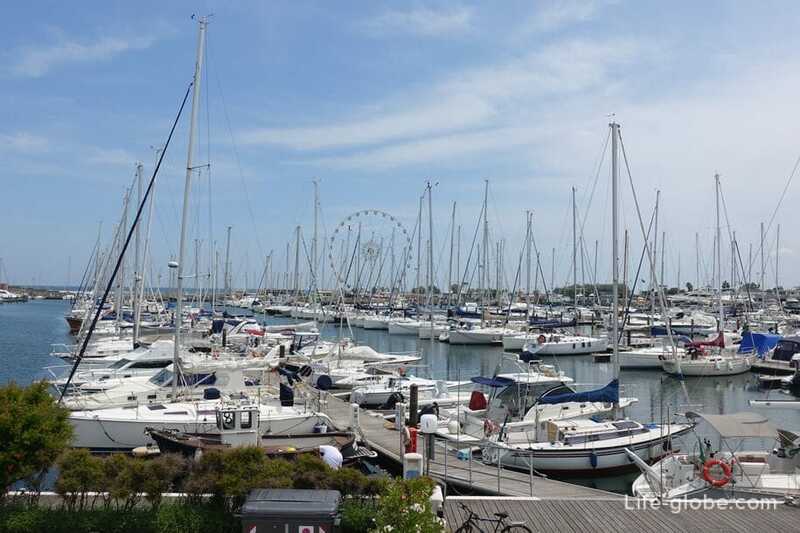 - the Ferris wheel, which offers panoramic views of the Marina, the beaches and the Adriatic sea. 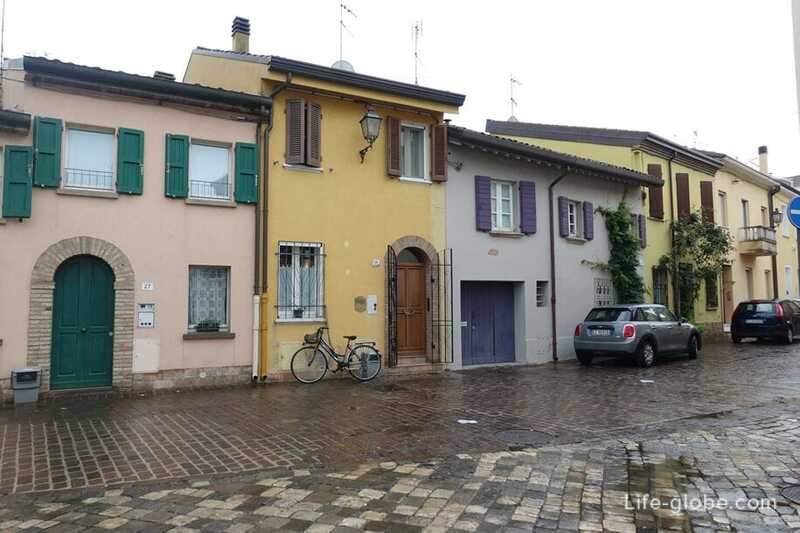 The district of San Giuliano is also known as the quarter Fellini. In this quarter the once rose Italian film Director Federico Fellini. 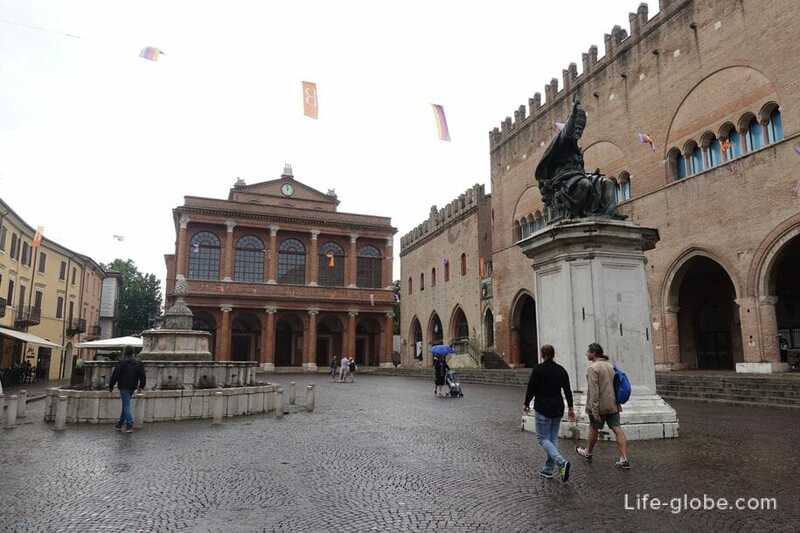 The old town of Rimini - a storehouse of historical and architectural values. 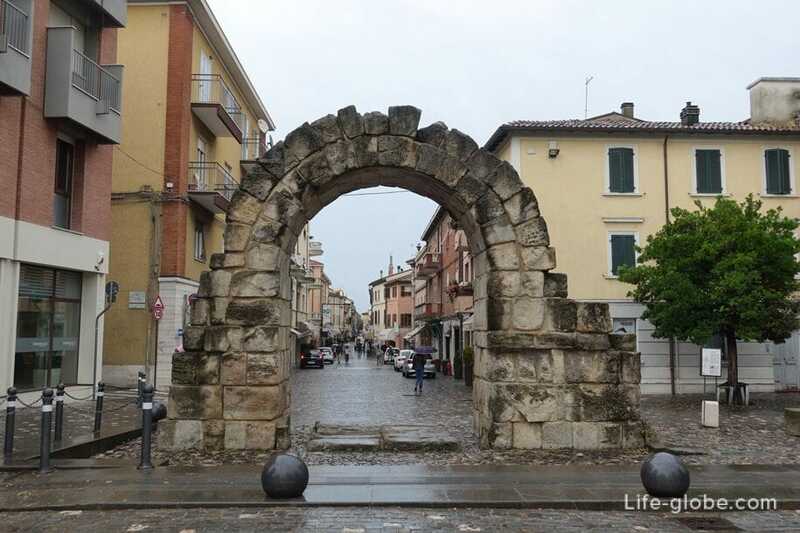 The triumphal Arch of Augustus (Arco di Augusto) - marks the main entrance to the old centre of Rimini. 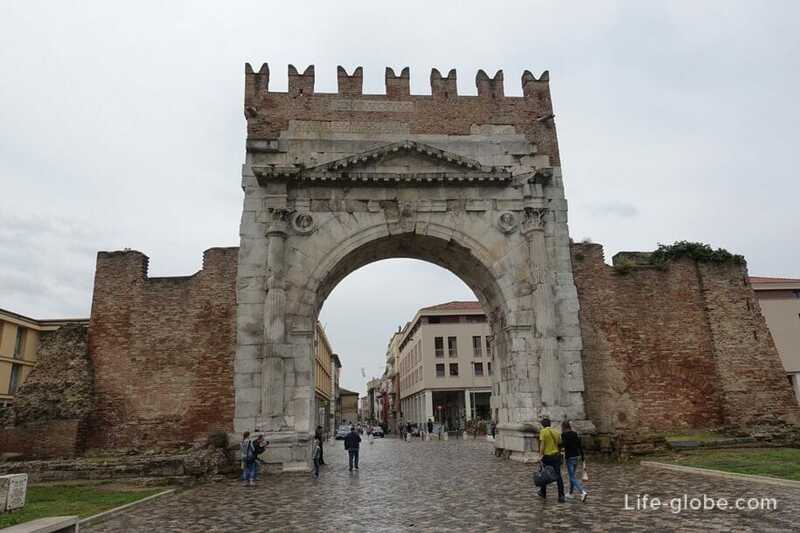 The arch of Augusto was built in 27 BC, then it was a city gate and was built into the defensive walls of the city, marking a main road in Rimini. 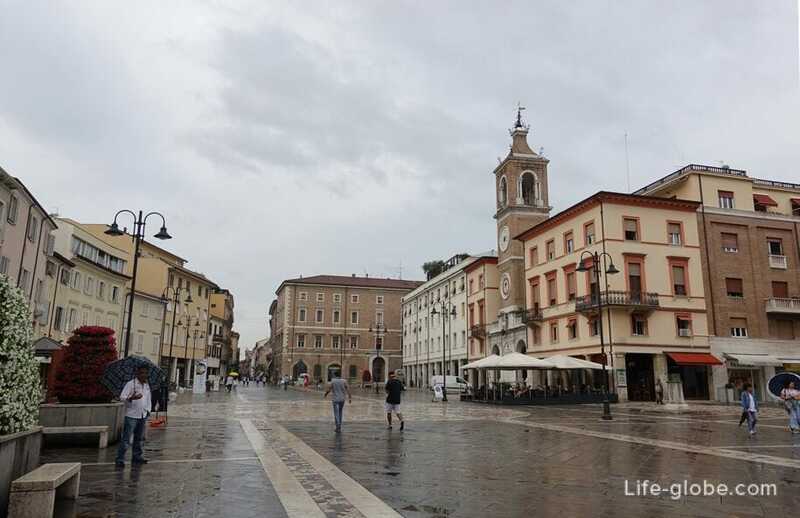 Three Martyrs square (Piazza Tre Martiri) is one of the Central squares of the historical centre of Rimini plays an important role in the formation and life of the city past centuries. 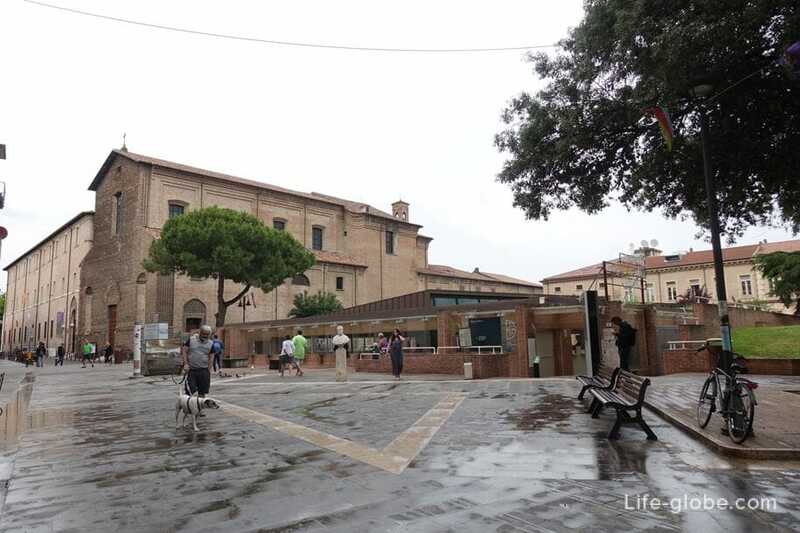 The square is located the Roman forum, where his legions were Julius Caesar. 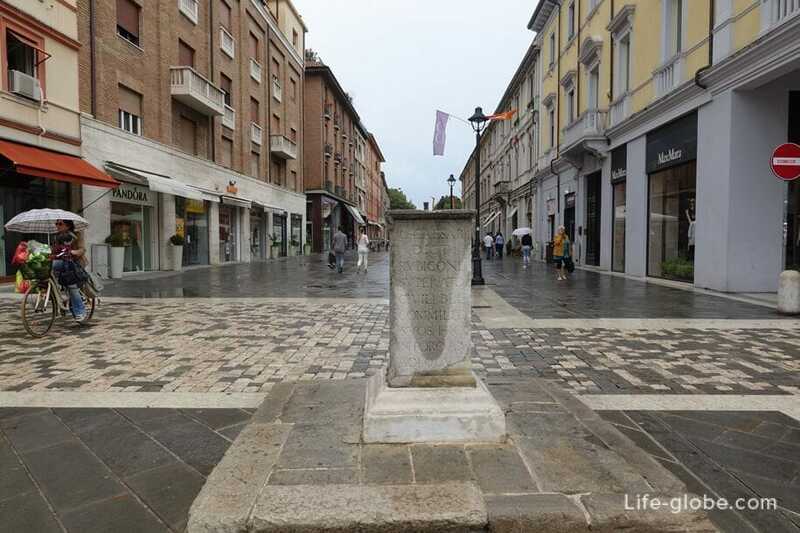 The history of the square dates back from the 2nd century BC. In the middle ages the square was the market place, as well as knightly tournaments. 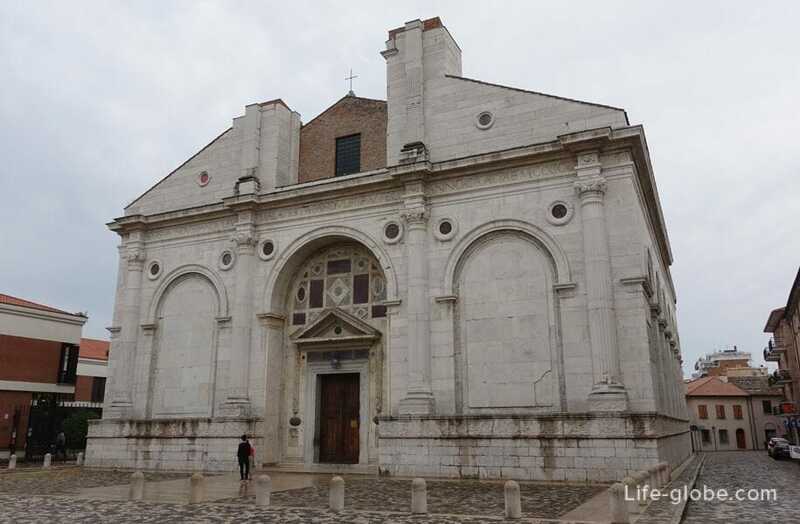 Tempio Malatestiano is the Cathedral of Rimini, built in the mid-fifteenth century as a tomb for the ruling Malatesta, hence the name of the temple. Officially the Cathedral is named after St. Francis, but this name is unpopular among tourists and locals. 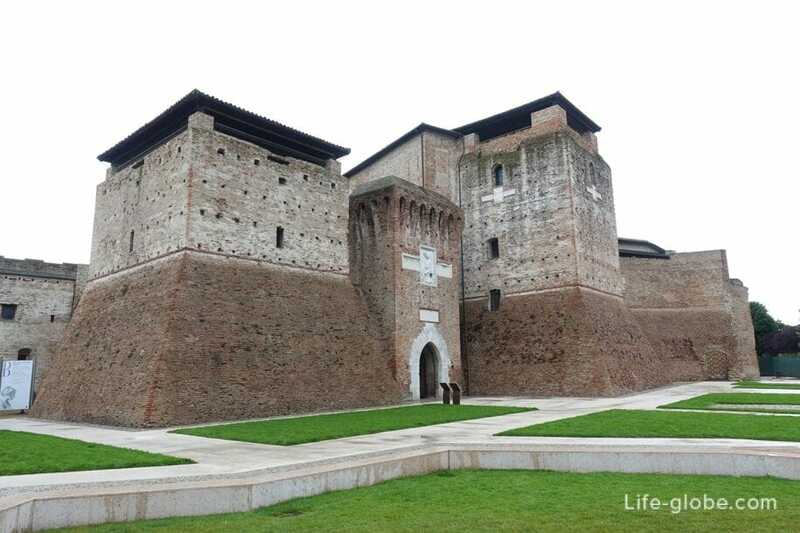 Castel Sismondo, built in the 15th century, is currently one of the integrity. The Central part of the castle was the residence Malatesta. - catholic Church of St. Francis Xavier Church, better known as Pokrovskaya Church (Chiesa del Suffragio), founded in the early eighteenth century by the Jesuits. 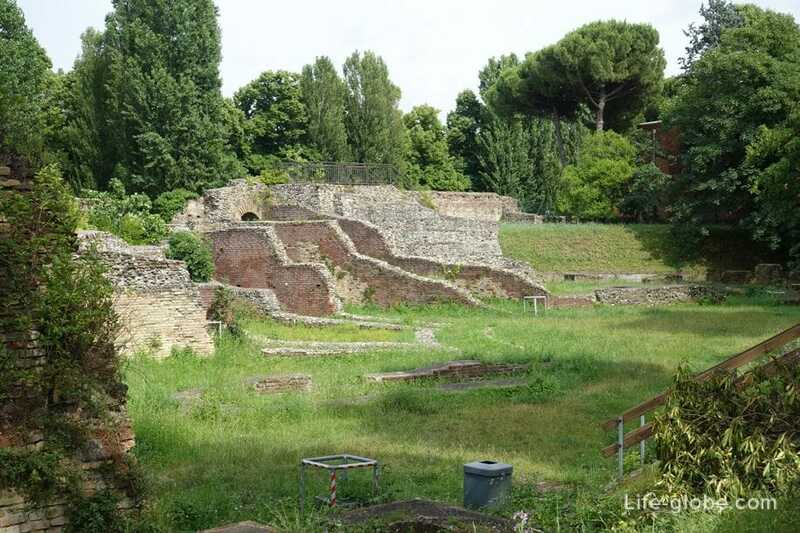 The Roman amphitheater in Rimini (Anfiteatro romano di Rimini) was built in the second century ad and was used mainly for Gladiator show. As tradition for this type of buildings, the amphitheater was built on the periphery of the historical center, close to the sea, to enhance the experiences of viewers. Currently, from the amphitheatre there are only some elements. Teatini square (Piazzetta Teatini) - where you can see the echoes of past centuries in the ruins of the Church of the fathers Teatini (Chiesa dei Padri Teatini). The Church was almost completely destroyed by bombing during the Second world war. Currently there is only one wall of the Church overlooking the gardens of Piazza Teatini. 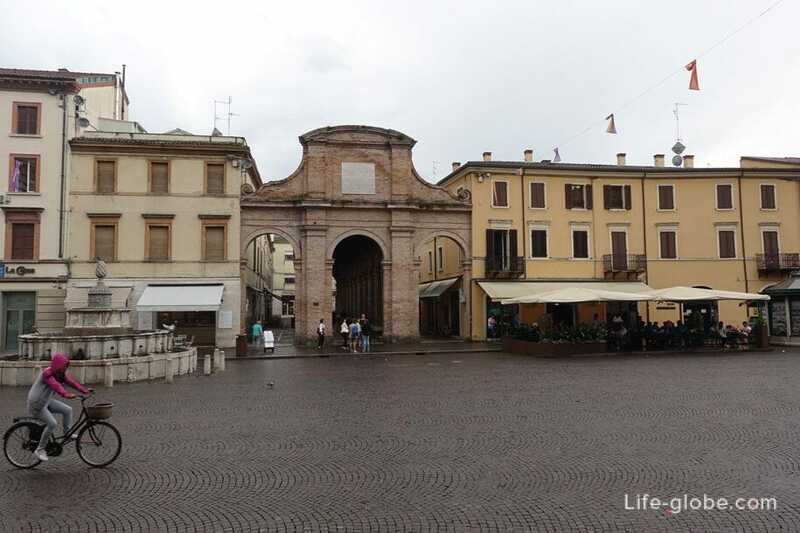 Palazzo Lettimi is one of the most prestigious buildings of the Renaissance, built in the early 16th century. 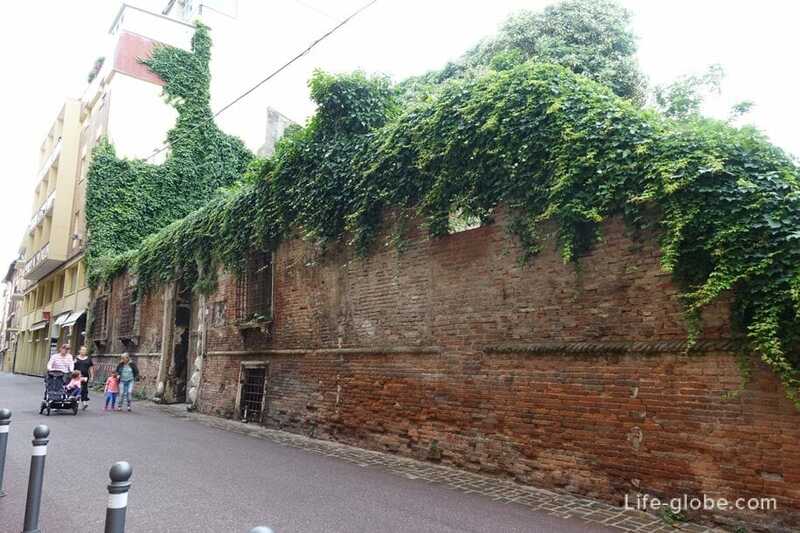 Currently, you can only see the remains of luxury, "the survivors" after the bombing during the Second world war. 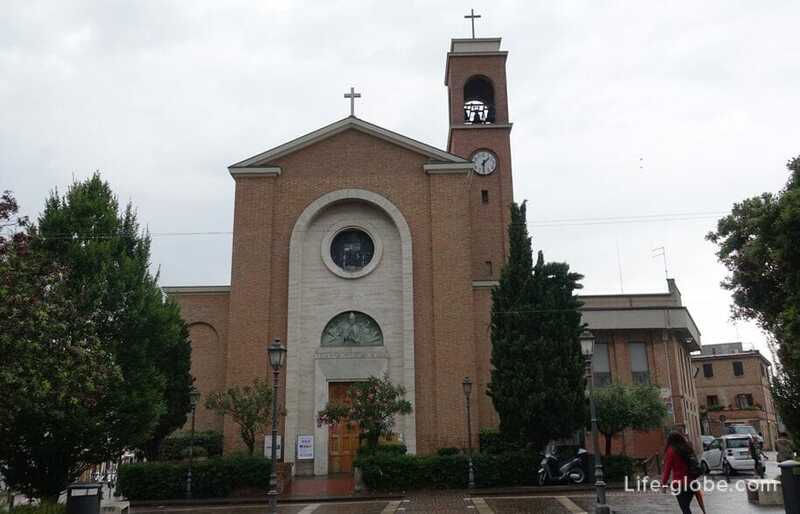 Catholic Church of Mary Mediatrix (Parrocchia Santa Maria Ausiliatrice) is situated close to the beaches of Rimini, one of the seaside tourist streets - Viale Regina Elena. The Catholic Church of San Nicolo del Porto (Chiesa di San Nicolo al Porto). 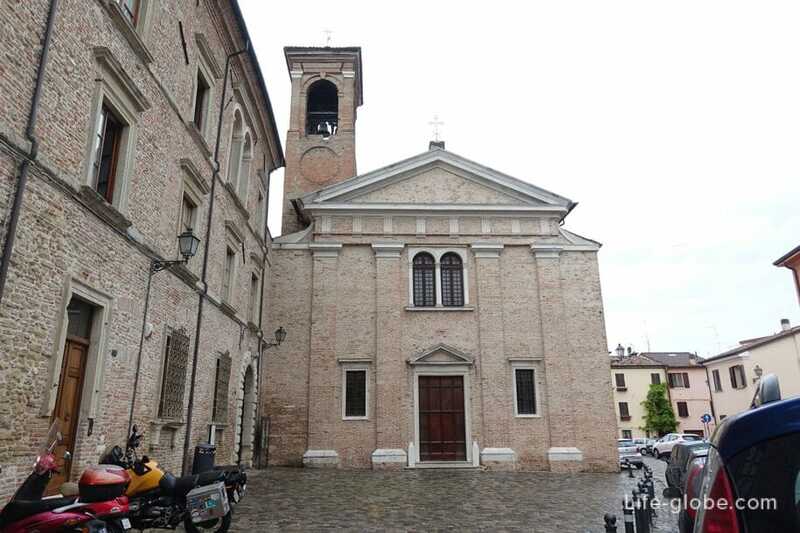 Previously, the Church was dedicated to San Lorenzo, but in the 12th century with the appearance in the walls of the Church of the relics of San Nicola di Bari, the name was changed to modern. In 1087 the relics of Saint Nicholas were stolen from the Church of St. Nicholas in the ancient town of Myra (now Turkey) and brought to Bari. In the summer of 1177 of them (left humerus) was stolen by a German Bishop named Goto. The ship which had to return to Germany, makes an emergency stop in Rimini. 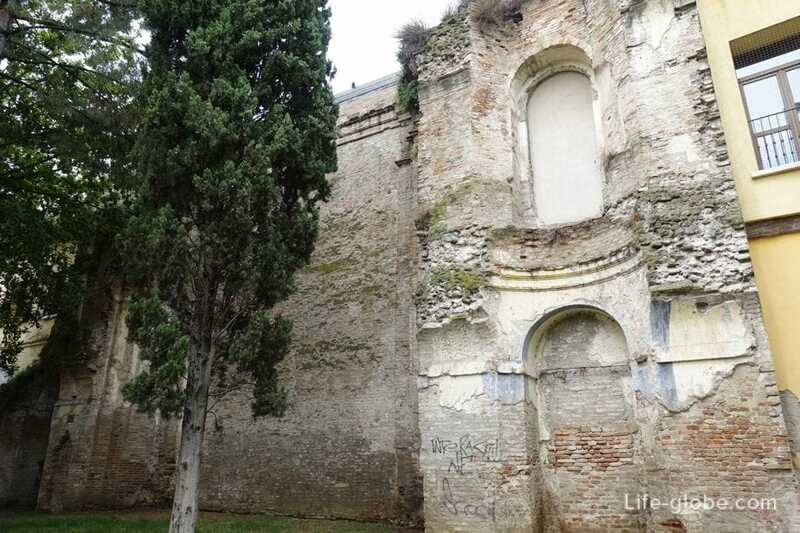 Considering it a sign from above, the Bishop confessed to the theft and left the relic in the Church of San Lorenzo, which was previously located outside the city walls, near the port and were mainly sailors. 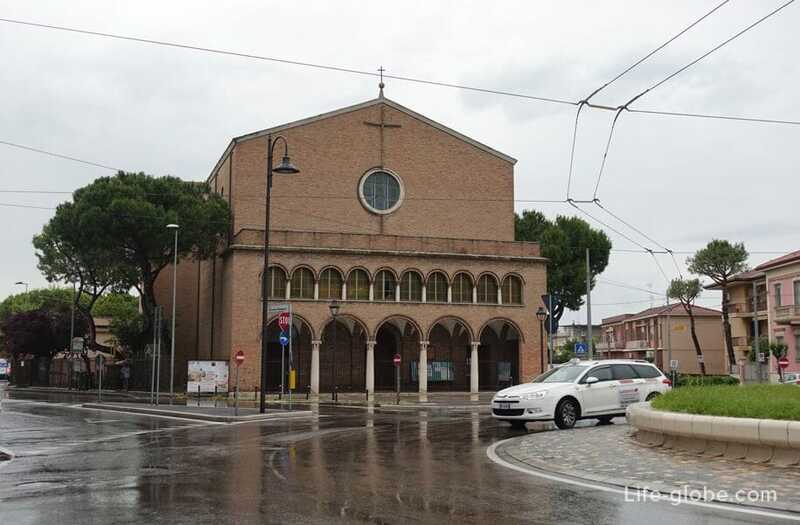 After that event, as suggested, and changed the name of the Church of San Nicolò, from the shape of the contraction of the Latin name "St. Nicholas". During explosions, on 27 November 1943 the Church was almost completely destroyed. After the war he built a new Church, which opened April 10, 1955, the Day of Easter. Inside the Church is a crucifix of the fifteenth century, preserved under oblomkami from the bombing. Frescoes of the fourteenth century, despite repeated attempts to save them, remain in very questionable conditions. The Church of San-Gaudenzio (Parrocchia di San Gaudenzo), built in 1856. The building was destroyed by bombing in 1944. In the postwar period on the site of the former Church was built the present large Church. 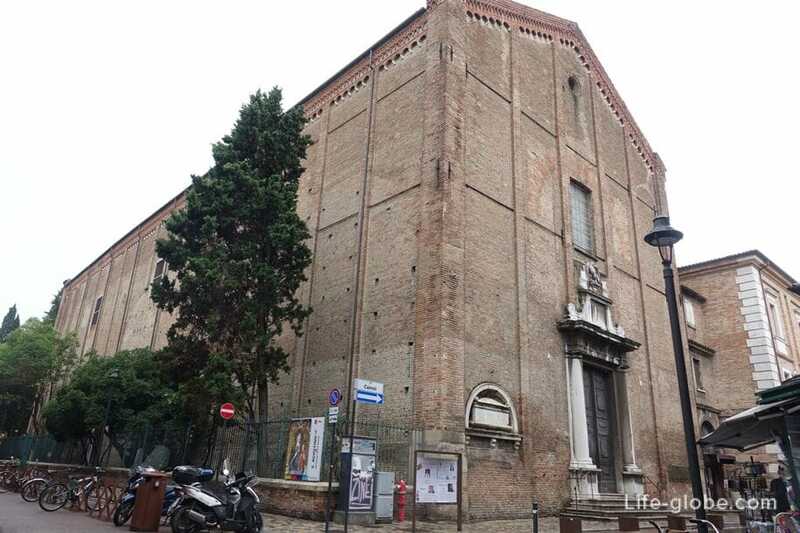 The Catholic Church of San Giovanni Battista (Chiesa di San Giovanni Battista) was built somewhere in the 5th century under the patronage of Galla Placidia. The Basilica was destroyed during the disasters of the 8th century. To 1144 on the site of the former shrines there was this Church dedicated to John the Baptist. 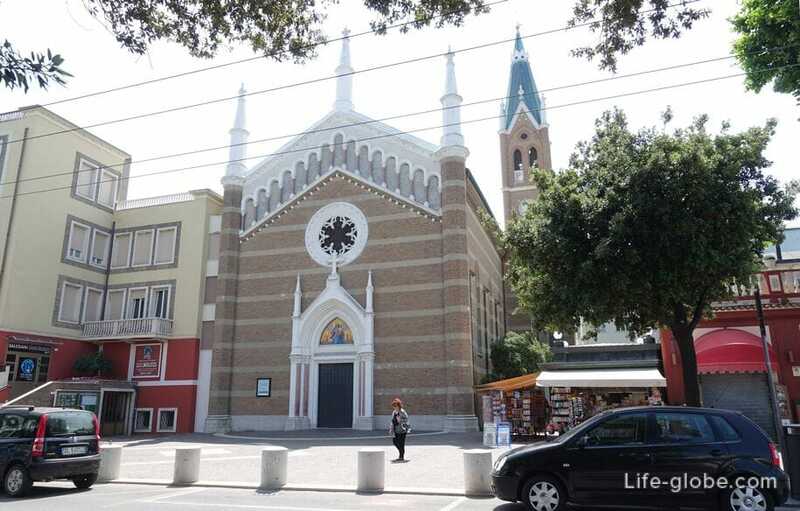 In 1573 the Church was assigned to the order of Carmelites, and in 1605 joined to the parish of San Gregorio. 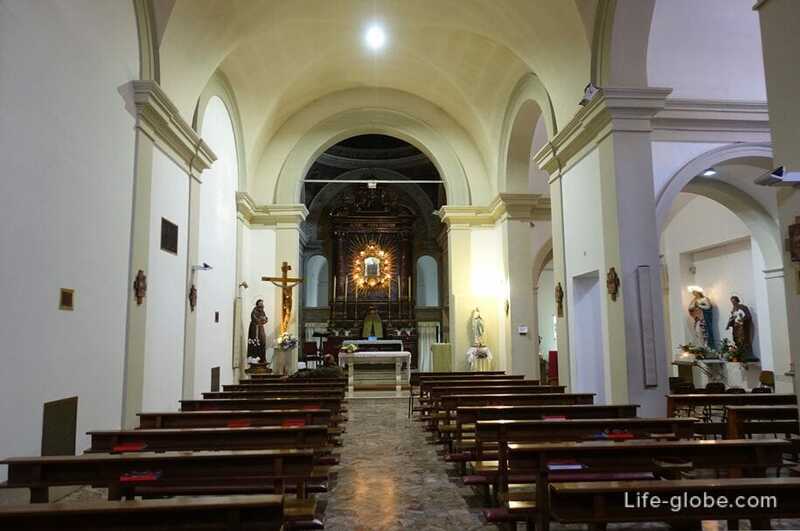 In the years 1767-1772 Carmelita instructed Gaetano Copioli to rebuild the Church in the late Baroque style. 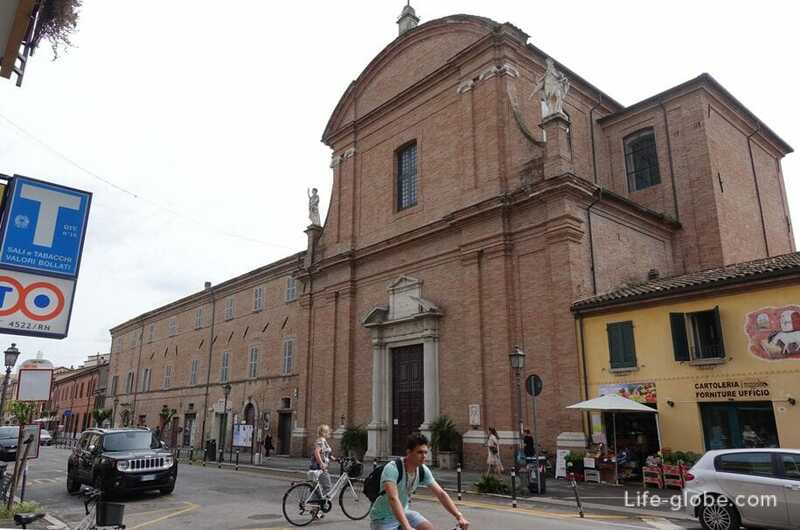 In 1797, the Church and monastery were suppressed and given to the Capuchin monks in their possession till 1805, when cercos again became a parish. 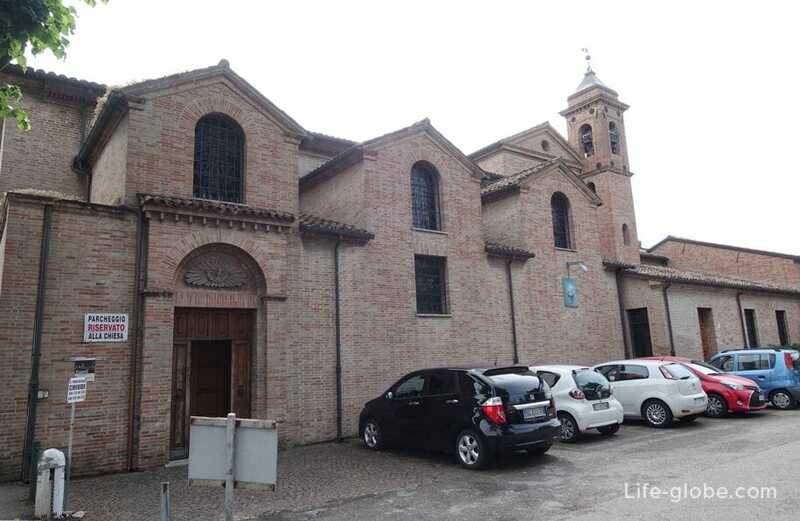 As well as, the convent of Santo Spirito-Capuchin (Convento Santo Spirito Frati Cappuccini), located at: Via della Fiera, 5 and Church of Santa Maria del Colonnel (Chiesa di Santa Maria della Colonnela), built in 1510 which is located at: Via Flaminia, 96. 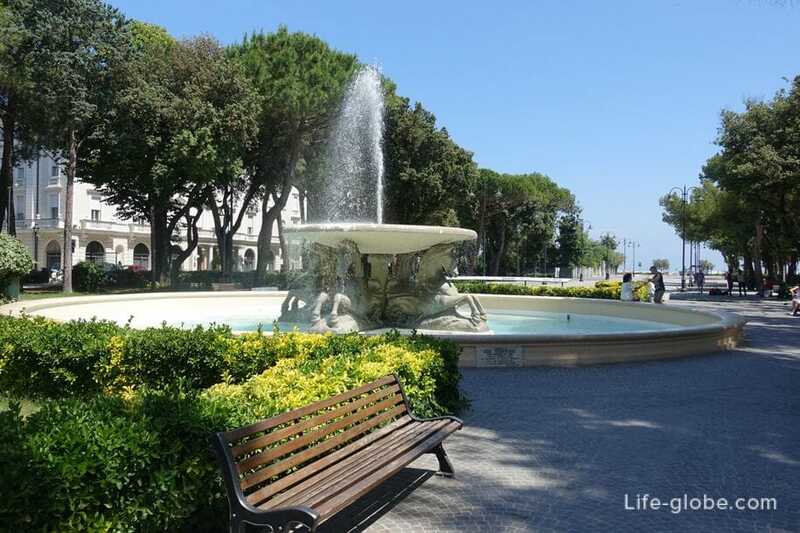 Park Federico Fellini (Parco Federico Fellini) - one of the city parks in Rimini, part of an extensive system of green areas located inside the urban area and is one of the leading and most visited parks of Rimini.